Was trolling Craiglist Abilene for my next project and came upon these. 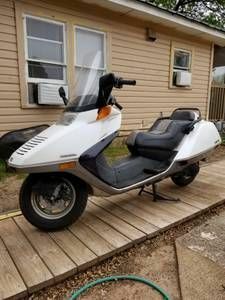 Already did a Helix back in '95 but the price ($700) looked good if the ad is to be believed. The Vespa looked like too much work since I have a nice GTS. 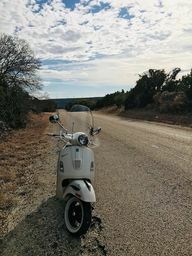 Unusual for scooters to pop up in Abilene, especially "barn finds". Bigger cities, yes, but I only occasionally see a scooter here of any kind. I've revised both a Helix that required removing and painting panels and I've also revised a couple of old Vespas. 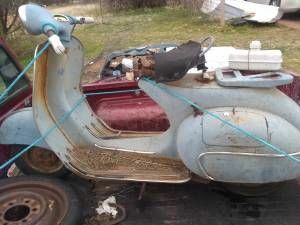 The Vespa will be more time, detail, and expenses then the Honda but the experience is priceless. The Helix did not require opening the engine cases like the Vespa will.